SUJAWAL: At least one person died and 15 others were injured as a passenger bus skidded off road and fell into gorge here on Tuesday. 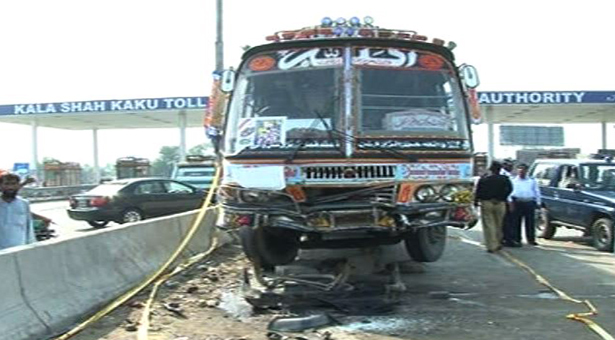 Police said that a Badin-bound passenger bus coming from Karachi it plunged into a ravine after the driver lost control of the bus as a tire burst. One person died on the spot and 15 others were seriously injured. The police and rescue personnel pulled up the body and injured from the gorge and shifted them to a hospital where the condition of some people was stated to be critical.